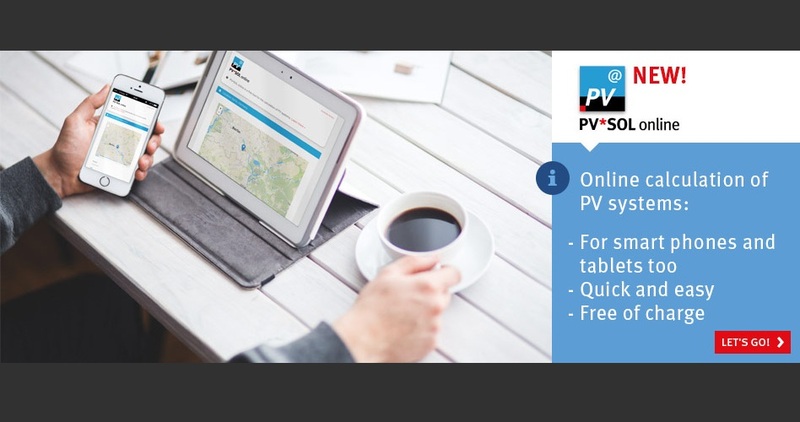 ﻿ PV*SOL online - a free tool for solar power (PV) systems. The Annual global irradiation and Average temperature is displayed as well. load profile with low summer proportion and low percentage of morning hours. Heat pump and Profile with constant load. Get best configuration, in terms of sizing factor, MPP and inverter. Number of PV modules per string, parallel strings in connection, PV field.